After an unexpected delay of 25 years, I decided to finally take my driving test in 2017. 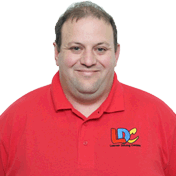 I found James' LDC driving school website online and was immediately impressed by the LD System learning programme. I am a sailor now, but previously I was an education manager, so I used to write and assess learning programmes. I applied last-minute but there was no room for an intensive course within my timescale. James meticulously arranged a series of 20 hours of learning, fitting me in whenever he could. I could easily have gone to another school, but I wanted to use the LD System and was impressed by James' organisation. I'm delighted I did, as both the programme and the instruction were excellent. The programme is very well thought out and ensures that you cover absolutely everything. My instructor, James, is patient, reliable, communicative and highly skilled. By the time of the test, I was fully prepared and as I'd done my homework, I know I'd pass. Just as well, as a week later my wife and I drove to Montenegro and I did everything except the German autobahns! 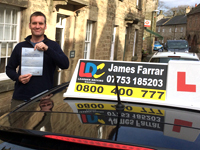 Thanks James and LDC, I can't recommend you highly enough. I'm a driving instructor in Newcastle-under-Lyme and surrounding areas.